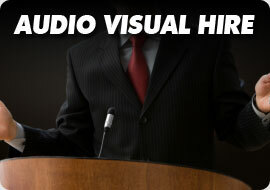 Your event delivered on-budget and stress-free. CSS Audio Visual is your single-source provider of audio visual equipment as well as onsite support services for all your Audio Visual Rental Requirements.Talk to us today on 01 8338653 about your Audio Visual Requirments for your next event. We utilize Polycom professional video conferencing systems, which have the highest quality video resolution on the market. Our equipment’s rich, crisp sound and high definition viewing make sharing documents and power point presentations easy and offers users a true-to-life audio experience. Our extensive range of trade show audiovisual rentals and services include everything you’ll need for your stand or exhibit. 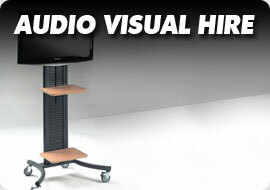 In addition, we can deliver and setup right to your trade show location. Our knowledgeable staff will work with you to ensure you have everything you need. 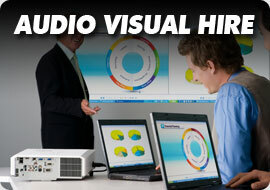 We offer audio equipment rentals and sound system rental packages for meetings and events of all shapes and sizes. Whether you need an audio solution for a panel of speakers or a single microphone we have all of the equipment you’ll need and any of our systems can be custom-tailored for your event. We stock a range of projectors and screens for corporate meetings,events and presentations.We offer projector rentals and professional setup for any size audience and stock only leading brands like Panasonic,Epson, and 3M. Our LCD meeting projectors are perfect for smaller meetings, while our large venue projector rentals are suitable for larger displays and audiences. We offer both short and long term rental. You can rent for as short as 1 day or for as long as 3 years. You have a choice of renting equipment and setting it up yourself, have us deliver and set up the equipment or full support where we deliver set up and provide a technician for your event.